Bob Mortimer at the funeral of comedian Sean Hughes at Islington and Camden Cemetery in London. Bob Mortimer has said the death of his father shaped his personality and left him with lasting insecurities. The absurdist comic and performing partner of friend Vic Reeves said hearing the news of his father’s death when he was “around seven” defined him as a person. Mortimer’s TV career began in 1990 after befriending Reeves – real name James Moir – and abandoning his job as a solicitor in favour of the stage. But the performer has said his shyness has been “crippling” and his over-eagerness to please those around him stemmed from a fear of being abandoned, which began with the sudden loss of his father when he was a child. 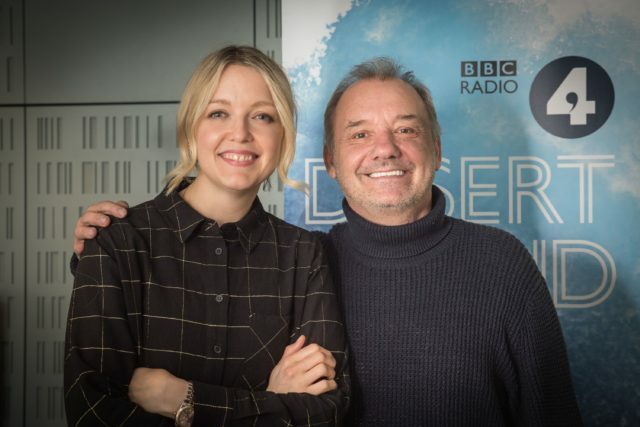 Speaking to Lauren Laverne on BBC Radio 4’s Desert Island discs, the Shooting Stars creator said there was no clues to his future career in his childhood, which was dramatically altered. He said: “I just remember coming back home, being ushered away by policeman, not knowing what was happening. “Thinking that it hadn’t affected me at all, then later in my life realising it was probably the defining moment of my life really. It’s kind of defined my personality. Mortimer became a solicitor after a solitary time at university, where he stayed in his room rather than socialise. He has said that his lifelong shyness has been “crippling”, and forced him into silence. He said that he was also driven to please those around him, to ensure they would not leave him. Mortimer said: “My shyness probably defined the first 30 years of my life really. It’s a crippling thing, it can be very lonely, knowing that you’ve got things to say but can’t say them. I learnt it’s okay to talk to people, it’s okay to contribute. Mortimer emerged from the shadow of his shyness after attending a pub performance of Reeves – who he calls Jim – with his Big Night Out Show. He began to take part in the show, and within six months was offered a television spot. He has said: “I had found a passion at last, and a soulmate in Jim. He’s a genius, total genius. To find someone like that, and to work with them every day, is amazing. The comic star revealed that the series Catterick was his favourite work, and described filming the show as the “happiest time of my TV life”. The full interview will Mortimer can be heard on BBC 4 or BBC Sounds at 11.15am today.